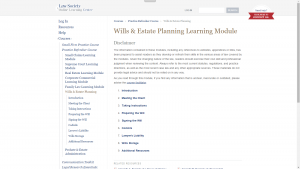 We don’t have too much to say about wills drafting. 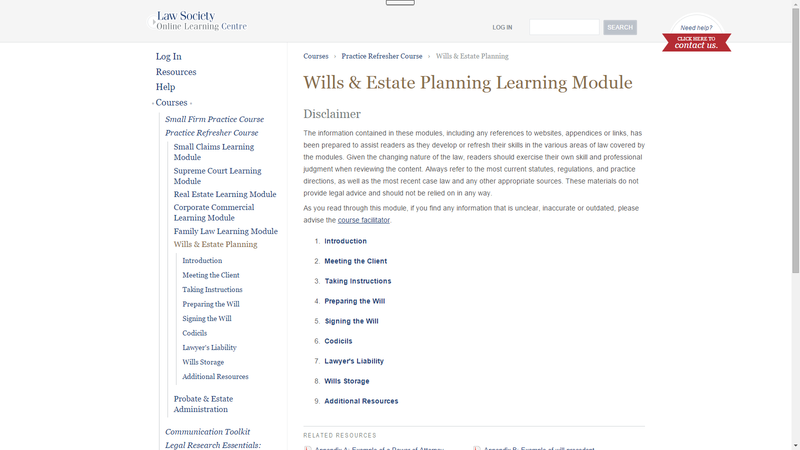 One should not practice in this area without considerable knowledge of wills drafting and estate administration. 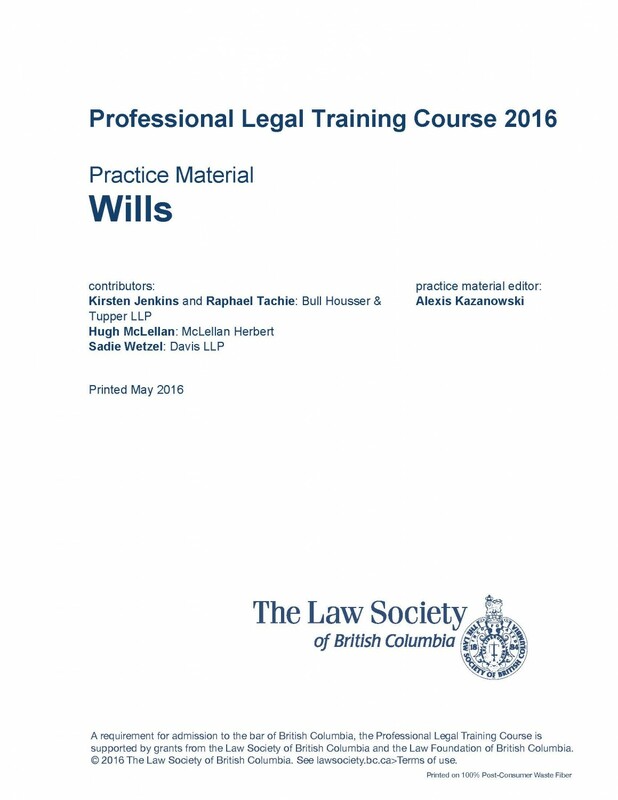 If it has been a while since studying this in law school, we recommend the Law Society’s Wills and Estate Planning refresher courses. The statute law in this area went through a significant revision, with the proclamation of the Wills, Estates and Succession Act of 2014, which incorporated numerous statutes and made significant changes to the law regarding the onus in undue influence, latitude of the court to remedy drafting errors, etc. 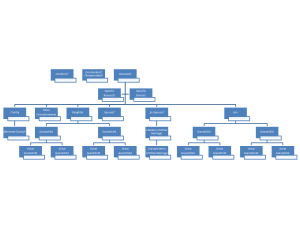 It can be very useful to go over a flowchart with the client of their family tree. This is to ensure all the intended recipients of their bounty are included, who may be excluded, and ensuring there are no loose ends if gifts fail – that the residue goes somewhere. We highly recommend an execution memo to file such as the following. To be used by you when a client attends on you (or you attend on a cllient) for execution of their advancing planning documents. An important document to keep in your file for posterity (and to cover your posterior). Attended [place] for Will, RA and EPOA signing. 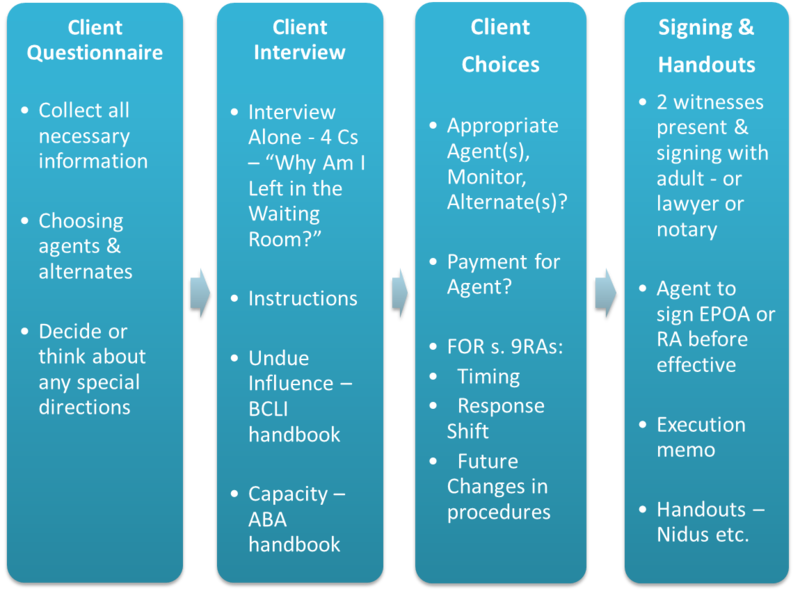 With [family/friend] out of the room (gave them “Why Am I Left in the Waiting Room” brochure to read), I reviewed the Will with Client clause-by-clause – each paragraph # – paraphrased each paragraph and provided such additional information and explanation or examples as I deemed necessary. I explained the purpose and benefit of each of the Trustee powers. 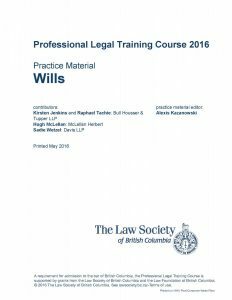 Client confirmed to me that she/he understood and agreed to the terms of the Will, and that they accurately reflected his/her wishes. I had him/her initial each page. Based on today’s and prior communications with the Client, and without reservation, I am of the opinion that she/he is fluent in the English language, is mentally competent, is not acting under any duress or undue influence. She/he understands the nature of the document signed, the assets she/he owns and who she/he wants to receive those assets after his/her death. 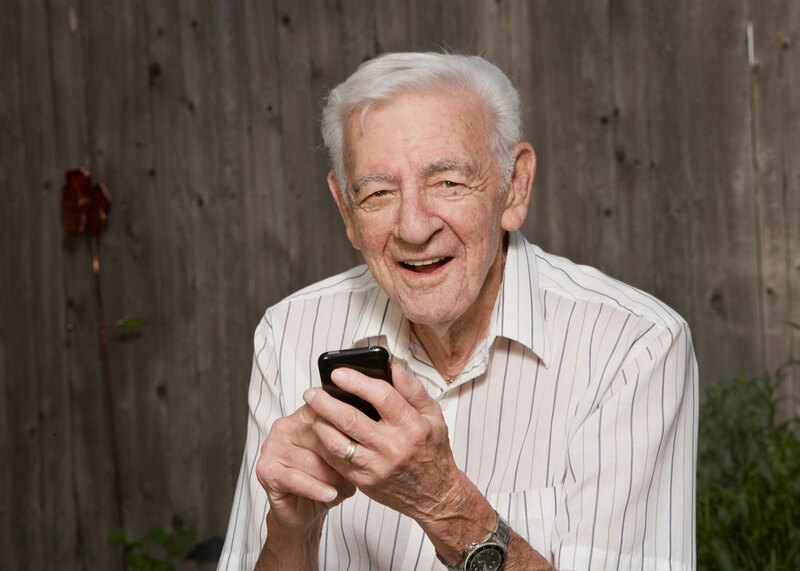 I am satisfied the Client has testamentary capacity and is aware of the contents of the Will. I have considered the “index of suspicion” regarding the possible presence of ‘undue influence’ and the BCLI list of ‘red flags’ so as to ensure, as far as possible, that the Will (my work product) represents the Client’s independent testamentary wishes and is capable of withstanding challenge. I am satisfied the Client is acting freely and independently. Client then invited into her apartment [witnesses] to serve as a witnesses for the Will. They were advised regarding any concerns re capacity or undue influence. 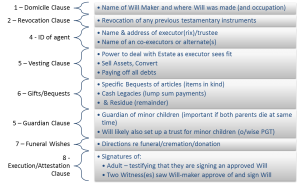 They then initialed each page together, [Client] dated and signed the Will, and the witnesses signed the last page and completed the witness provisos. 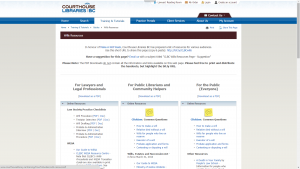 I then went through EPOA and Representation Agreement clause-by-clause. Went through the EPOA & RA checklists for capacity. It is clear to me [Client]has required capacity and understands nature and consequences of a Representation Agreement, and the power and effect of a general EPOA. Client signed and dated original EPOA and RA, and I signed and dated with him/her. His/her attorney/Representative, [name], then also signed both documents with me as witness. I notarized the signatures on both the EPOA and RA. Then went through the other handouts I had from Nidus, setting out the role and responsibility of the attorney under an EPOA, and a Representative under RA. We recommend giving a copy of Being an Executor to the person(s) chosen by your client, so they have an idea what is expected of them. 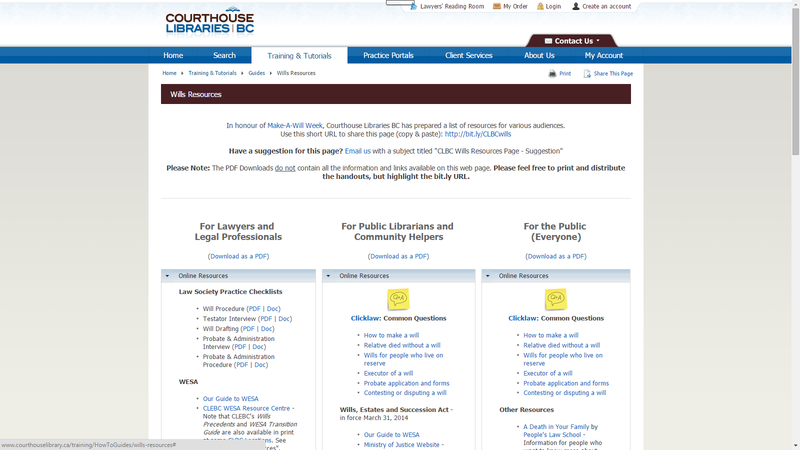 The Courthouse Libraries BC staff, in honour of Make-A-Will Week, have prepared a list of resources for various audiences; for lawyers and professionals; for public librarians and community helpers; and, for the general public. 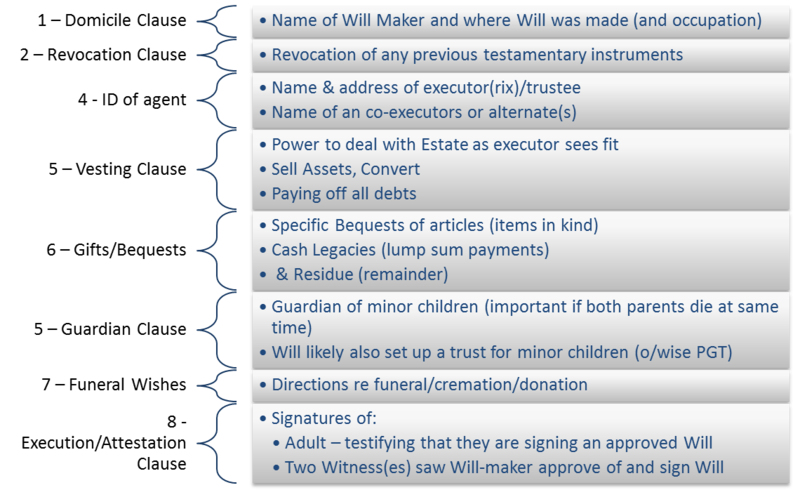 177What Happens When You Die Without a Will?